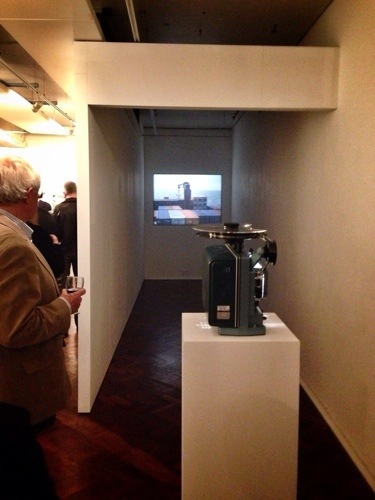 The Lumen art prize international tour of prize winners came to London. MA Fine Art Digital students worked as curators with Course Director Jonathan Kearney. This lead to a lot of interesting discussion and a challenging installation in London’s Crypt Gallery. Despite initial fears, the unusual space didn’t overwhelm the work and instead seemed to give it an open platform, space to breath, allowing unusual juxtapositions to collide and new dialogues to emerge. Put it another way the colour looked great on the old brick walls and the sound bounced around a lot! Two students, Clara Duran and Jack Addis were selected to take part in the symposium and presented their ideas and in a curated conversation with Jonathan. Several students contributed short curatorial statements, Yvonne Opalinski (online student based in Toronto), Anqi Zhou and a joint statement by Cecilie Waagner Falkenstrøm and Trystan Williams, see the PDF below. Duke of York plays the parrots! 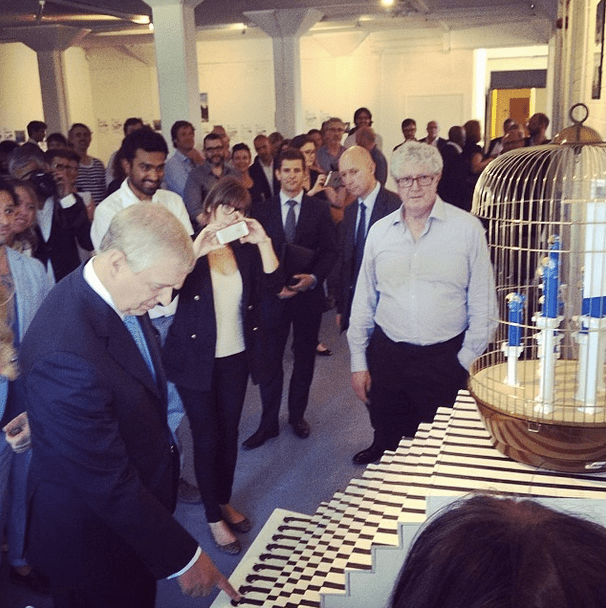 As soon as the show was finished he took the work to be installed at the opening of Fish Island Labs with the Duke of York and John Tomlinson, Chair of the Barbican Centre. Posted on 25 July 2014 29 July 2018 Author adminCategories graduate exhibitionsTags Barbican Centre, exhibition, royaltyLeave a comment on Duke of York plays the parrots!